The West Coast gun safes series of gun safes are arguably the best built gun safes in their price point. 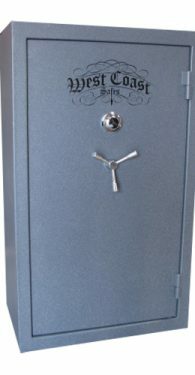 With 4 sided 1″ active bolts, 1350 Degree/45 Minute Fire Certification, Standard Door Accessory Panel, Flexible Velour Interior and one of the only reinforced door jambs in this price range, the West Coast gun safes offer the economical buyer a great entry gun safe at a very affordable price. 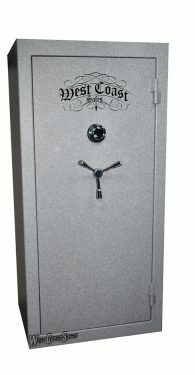 West Coast safes offers the West Coast gun safes because too many stores offer only a bargain basement China gun safe. 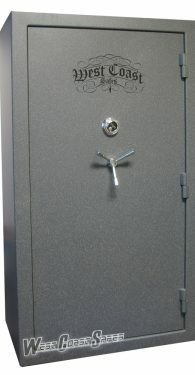 The West Coast gun safes series have many features of the mid level competitor’s safes at a price that cannot be beat. 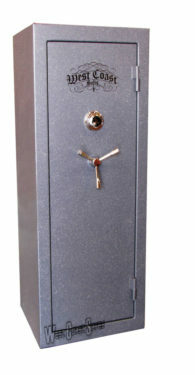 The West Coast 22 gun safe is our best selling entry level safe. Come in to our Ontario, California showroom and see the West Coast safes along with over 170 other safes on display everyday. Our showroom is open 10am to 6pm, Monday thru Saturday. We have many safe professionals to answer all of your questions.